JunkScience.com -- Kyoto Count Up! Canada Free Press Kyoto Count Up! The seemingly interminable Kyoto countdown is over - now we begin to count UP (the cost). (to get activity on the clock we had to go to billionths part of one degree, which obviously cannot be measured as a global mean) and yes, that really does represent about $100K per billionth of one degree allegedly "saved." Guess that means for the bargain price of just $100 trillion we could theoretically lower global mean temperature by about 1 °C. So, how do we arrive at these incredible numbers? Firstly, the now widely acknowledged "saving" (amount of warming avoided) potential for complete implementation of Kyoto is ~0.07 °C by the year 2050. Since skeptics (e.g. 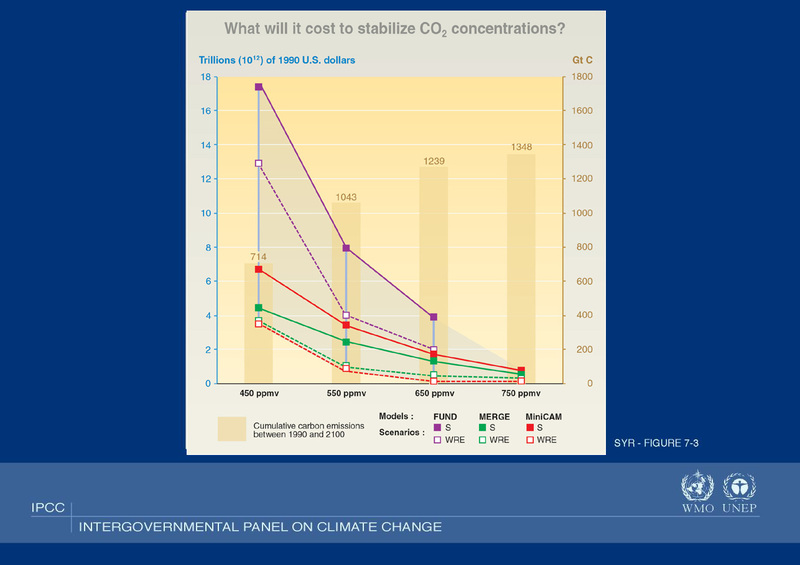 Pat Michaels) and advocates (Kevin Trenberth, for example) alike have signed off on the figure we see no need to dispute it (granted, many have pointed out that the potential "saving" is closer to 0.02 °C but who's quibbling - that's way less than error margin for trying to measure global temperature anyway). Further, even though the US and Australia have sense enough to stay clear of energy rationing schemes like this we are prepared to cut The Protocol a great deal of slack and pretend that figure is achievable by the EU and fellow travelers. Thus our potentially "saved" temperature figure is simply 0.07 °C/45 (the amount per year assuming a linear progression) further divided down to an accumulation per second. Granted, this is not likely a very accurate nor realistic representation but hey, we don't even know the absolute mean surface temperature of the planet within ±0.7 °C anyway. Sept. 23, 2005: The IPCC's Third Assessment Report (TAR) guesstimates were somewhat indigestible (as you can see, eye-popping but just too big to be useful). While it is true that plenty of other such estimates have surfaced and been bandied about there is simply no realistic expectation that any country, or group of countries, would engage in so foolish and costly an enterprise - just never going to happen. So why settle on $150 billion per annum? Simple really, it's just the round-down result of 1.5% GDP growth restraint of committed countries (not the whole EU 15 though, basically just the UK, Denmark, France and Germany along with Canada and Japan) and no allowance for suppression of global trade or collateral damage to developing world economies. So, ringing up significant price tags is not difficult, the hard parts is constraining the proposed cost to the point where countries might plausibly adhere to such a self-destructive path. -- Ed. For our cost values we basically went with the optimistic guesstimate of $150 billion per annum compliance cost. This figure is divided to an amount per second and accumulated in 0.05 second increments. Granted, we could have used much more aggressive cost estimates but we just can't see the governments of the EU, Japan and maybe Canada being permitted to squander any more funds that could be usefully applied to such frivolous pursuits as domestic health care, third world development aid or even infrastructure repair and replacement. The above guesstimates do not include the billions allocated to "global warming" research ($2 billion per annum in the US alone), "alternative" energy research ($3 billion in the US) and subsidy ($? lots, with forced market share), public indoctrination education campaigns, public monies misdirected to NGOs and other pressure groups or the donations frightened out of the public by the various foundations and alleged charities acting against human interest. These additional funds are the gravy train of Big Warming, a multi-billion-dollar industry devoted to generating scary scenarios and pronouncements of impending doom to further their own agendas or simply maintain their grant stream and employment. Curiously, Big Warming presents the absurd idea that warming advocacy is purely altruistic while the paltry few hundred thousands in donations or grants that were (I don't know if they still are) available to help present the counter case somehow invalidates the science or opinion of anyone who dares to disagree - a position actively promoted by the mainstream but actively Left-leaning media. Quite how multi-billions don't influence while a few thousands "obviously corrupt" we have not been able to discern. Many billions of dollars have already been squandered on this farce and now it really begins.